PRE-P.G. MEDICAL SANGARSH COMMITTEE & ANR. These appeals involve a challenge to the powers as well as the right of the State Government to provide for reservation of seats for admission to Post Graduate Medical Courses for in-service candidates and the reasonableness or otherwise of the extent upto which such reservations could be made. Before the learned Single Judge, challenge was made to the decision of the Government/University fixing 33% to be the qualifying marks for in-service candidates to render them eligible for admission to the Post-Graduate courses. The second ground of challenge was to the decision of the Government to increase the reservation of seats for admission into Post-Graduate courses for in-service candidates from 25% to 50% out of the remaining 75% of the seats after excluding 25% of the seats reserved for central quota. The learned Single Judge by his order dated 22.2.1998 repelled the challenge based on the first ground and held that the State, which is authorized to regulate the admissions to Post-Graduate Courses of Medicine by prescribing minimum qualifying marks in the entrance examination therefor, is entitled, as in this case, to fix a minimum of 33% for the in-service candidates, and that this could not be said to be illegal. So far as the second ground of challenge was concerned, it met with the acceptance of the learned Single Judge, who came to the conclusion that there was no justification made by placing materials on record for directing such an increase in the matter of reservation from 25% to 50% and the same was liable to be set aside as excessive, while maintaining, at the same time, the earlier prescribed reservation upto 25%. Aggrieved, the State of Rajasthan as well as some of the in-service candidates filed appeals before a Division Bench and the Division Bench by its judgment dated 13.7.1999 set aside the order of the learned Single Judge in so far as he interfered with the increase in the percentage of reservation made for in-service candidates from 25% to 50% on the ground that not only the State had such powers to prescribe, on such matters as a matter of policy, but the learned Single Judge, who sustained such powers to inhere in the State, could not have interfered with the policy-decision of the State Government necessitating such increase from 25% to 50% for in-service candidates for admission to Post-Graduate courses in the Medical Colleges of the State, particularly when the policy-decision was based on reasons which had nexus to the objects sought to be achieved. In the light of the above, the Division Bench thought it unnecessary to examine further whether the increase of seats from 25% to 50% for in-service candidates pertains to the area of reservation or fixing the source of admission. The appeals were accepted and allowed. Hence, the above appeals by the petitioners before the learned Single Judge and others permitted to file appeal by this Court. Heard learned counsel on either side. candidates serving in rural areas will, after acquisition of post-graduate degrees, return to rural areas. The observations in this behalf have been cited by the High Court and in our view, rightly. 6. In our view, the High Court was right in the view that it took, that no reservation beyond fifty per cent is ordinarily contemplated and this percentage is what the High Court allowed. In striking down the additional mark for in-service candidates serving in rural areas, the High Court followed the decision of this Court." 9. Properly speaking, in these cases, we are concerned with the allocation of seats for admission in the form of a quota amongst in- service candidates, on the one hand, and non-service or private candidates on the other and the method or manner of working out in practice the allocation of seats among the members of the respective category. Could the State Government have legitimately made a provision allocating 50% of seats exclusively in favour of in-service candidates and keep open the avenue for competition for them in respect of the remaining 50% along with others denying a fair contest in relation to a substantial or sizeable number of other candidates, who are not in service and who fall under the category of non-service candidates, will itself be open to serious doubt. One such attempt seems to have been put in issue before the Madras High Court which held that reservation in favour of in-service candidates for the academic year 1992-93 should be confined to 50% and awarding of two additional marks, instead of one additional mark for each completed year of service in primary health centers, was unconstitutional and when the matter was brought to this Court, in the decision reported in State of Tamil Nadu vs T. Dhilipkumar & Ors. [1995 (5) Scale 67] the decision of the High Court has been upheld. This Court also further observed that the Government should appoint a highly qualified committee to determine from year to year what, in fact, should be the percentage-wise reservation required for in-service candidates, having regard to the then prevailing situation and that the percentage of fifty percent shall, if found appropriate, be reduced." State. This larger public interest, unlike reservations envisaged for SC/ST with a different and laudable purpose to assist educationally backward classes, is a distinct and vitally important public purpose in itself absolutely necessitated in the best of public interest. The decision reported in Dr. Narayan Sharma And Another, etc. vs Dr.Pankaj Kr. Lehkar And Others, etc. (2000(1) SCC 44) is not directly on the point with which we are concerned in this case. Similarly, the observations made and dicta laid down in what is known as Mandal's case reported in Indra Sawhney vs Union of India And Others (1992 Supp. (3) SCC 217) also has no relevance or application to the case on hand. selection of the in-service candidates from 50% to 33%. Apart from the tenability of the objection taken by Shri Sushil Kumar Jain, learned counsel appearing for the private candidate-respondents, that if there was no challenge made of this reasoning before the Division Bench of the High Court it is not permissible to take such a stand in this Court, we are also of the view, on the merits of the claim itself, that there is no substance in the same. It is not in controversy that during the academic years in question, there was no stipulation by the Medical Council of India of any minimum eligibility marks to be secured in the entrance examination for admission to post-graduate courses. Though it is said that in 2000 such a stipulation has been made, for the obvious reason that during the years under our consideration there is no such stipulation, the challenge in this regard does not merit our consideration or acceptance, leave alone the question as to the efficacy or binding nature of the said stipulation, which we do not propose to adjudicate upon in these cases. That apart, as rightly pointed out in one of the judgments of this Court noticed above, mere theoretical excellence or merit alone is no sufficient indicia of the qualitative merits of the candidates in the field of actual practice and application. The doctors, who are in-service candidates in various medical institutions run and maintained by the Government or Government Departments, have wide area and horizon of exposure on the practical side and they may not have the required extra time to keep themselves afresh on the theoretical side like an open candidate who may have sufficient time at his disposal to plod through books. The in-service candidates in contrast to the fresh or open candidates have to spend much of their time on attending and treating the patients in the Hospitals they serve gaining excellence on the practical side and, in our view, they would constitute a distinct class by themselves to be given a special treatment and no grievance can be made out on the ground that the minimum eligibility marks for their selection in respect of seats earmarked for them should also be the same as that of the fresh or open candidates. We could see no discrimination or arbitrariness involved in the special provision made to meet a just and appropriate need in public interest. For all the reasons stated above, these appeals fail and shall stand dismissed. No costs. Appointment of contract Medical Consultants is purely on temporary basis and their services are liable to be terminated at the time of selection of TNPSC candidates. 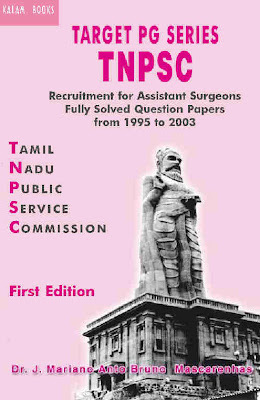 sir i had been selected for the current tnpsc interveiw.there are rumors that the posts filled up by contract doctors will not be shown in the vacancy list during counselling for the selected candidates and only those who work at the present station as contract doctors are eligible to take the same places in the tnpsc counselling.kindly clarify in this regard. Date: 12/01/2006 This Petition was called on for hearing today. of 50% the authorities shall try to fill up 50% of the seats allotted in the All India Quota. Council of India in the official Gazette and other print/electronic media. Post in the first week of May, 2006.